Read About C'est si Bon! 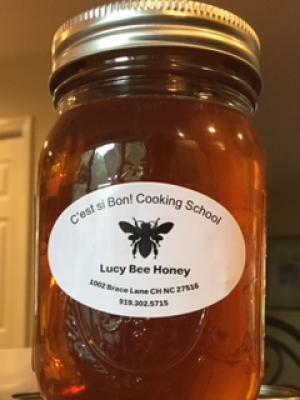 Lucy Bee Honey is 100% family produced at C'est si Bon! 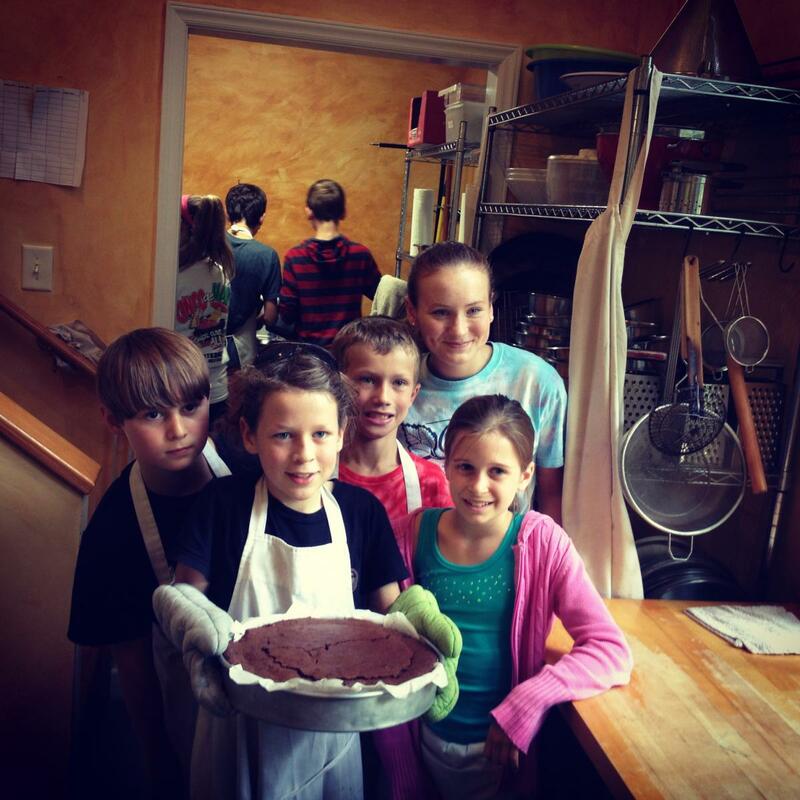 Cooking School in Chapel Hill with the help of our honey bees, poplar trees, and vibrant wildflowers. Our honey, as do all local honeys, help to boost your immunity to local pollen - great if you have seasonal allergies. Currently you can find our honey for sale at the Mediterranean Deli in Chapel Hill. Please contact us if you are interested in carrying some in your place of business. Very limited supply available. 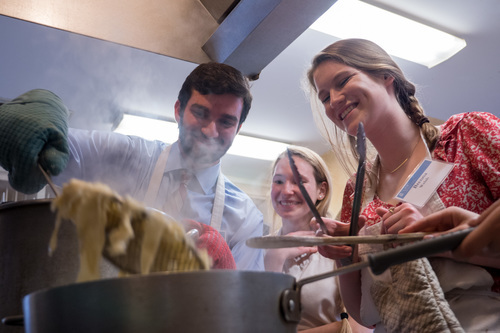 Kenan Flagler Globe Students making fettucine alfredo! Providing a Team Building for teen burn survivors with the NC Jaycee Burn Center. Gleaning with the Society of St. Andrews, Carolinas. Won't you join us next time? Mentoring new chefs at Reality Ministries in Durham, NC. Meet our Chefs and Artisans. who grow, and show, us the most delicious food!